Week Two of summer is well underway. This week kicked off our six-week summer school program. Students attend summer school from 9am-12pm Monday-Thursday. Then many students continue on to join the summer camp program after lunch. Participating in summer school is the most effective way for kids to beat summer brain drain and ensure that they remember all the fascinating things they learning this year. Today is the second Thursday Theme Day, and today's theme is Animal Face Painting. When you pick the kids up from camp today, they'll be transformed into their favorite animals. They just might start responding to you with a "grrr" or a "meow." Speaking of animals, this week's field trip is the Los Angeles Zoo! 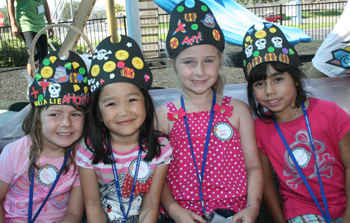 The zoo is always one of our campers' favorite field trips of the summer. Check out your campus' weekly newsletter below for tips about what your child needs to bring and wear for the day.